Its streets are bustling with lots of people, traffic and other activities, which sometimes can be dangerous. But when you look at the safety statistics on intersections…intersections are especially dangerous. Why? Because it is where it is possible for two or more vehicles to attempt to occupy the same space, at the same time, which can lead to disastrous and even fatal results. Nationally, approximately 40% of all crashes involve intersections. 50% of all “serious collisions” happen in intersections and roughly 20% of fatal collisions occur there too. Between making left turns, drivers running red lights and other human errors, intersections pose a safety problem to all drivers. Now add people to this smart city equation. In 2016, an estimated 54.5% of the world’s population lived in cities. By 2030, it is anticipated that one in every three people will live in cities. And one of the essential dynamics of a vibrant city is mobility, which means people and traffic will be more and more intermingled. According to a recent report from the Governors Highway Safety Association, pedestrian fatalities are at a 25 year high for the second year in a row, with approximately 6,000 killed in 2017. 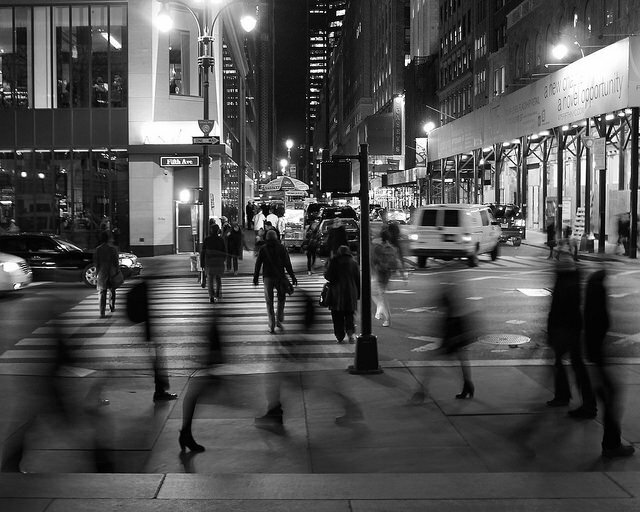 Many pedestrian accidents occur at intersections when a person is legally crossing the street in a crosswalk, or where that pedestrian otherwise has the right-of-way. While crosswalks are designed to make a pedestrian safe, they are often where these accidents occur. One of the biggest reasons is distracted driving, which falls into the category of human error. Enter smart city innovation in the form of smart intersection technologies. Smart intersection technology is emerging rapidly to address the needs of today’s modern smart city. And when you add the near future reality of self-driving cars as part of the normal flow of traffic, smart intersection makes even more sense. Not just to reduce the number of crashed, but to also synchronize with the other smart technologies on board these vehicles that will also help cities improve traffic flow, reducing transit time and ultimately making cities more livable even as the populations swell. But here are a few last things to think about. While envisioning a city without traffic signals seems like an impossible dream, it isn’t so far fetched. MIT thinks it can achieve this goal and has had for years. On the flip side of technology, there have been a few unexpected challenges. From seagulls flying close to the ground creating perceived obstructions in one autonomous vehicle (AV) pilot which caused the AV to come to halt, to more sinister sounding challenges of attacks that could clog streets at the intersections, wreaking havoc to the critical mobility required for a city to be safe, vibrant and livable. 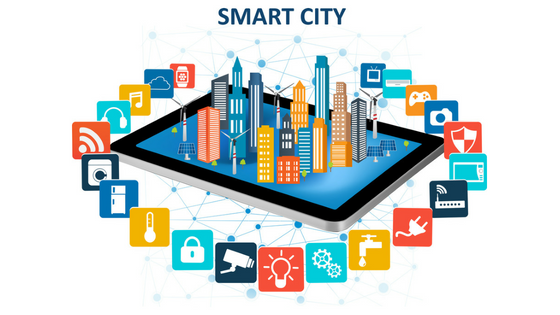 And when this technology is properly designed as part of an overall comprehensive smart city master plan, smart intersection technologies should be able to adjust to the dynamics demands of today’s bustling smart city, with software updates enabled by machine learning, computer vision and artificial intelligence that will make us all safer. Smart cities must be safe cities. Think Big Partners has been watching transportation innovation for several years, and the pace of innovation is increasing to meet the complex demands cities are facing. We look forward to the emerging promise of these quiet, often invisible smart intersection technologies as part of an overall smart transportation and mobility solution stack.